In preparation for an exclusive upcoming article on The Pizza Press Beer Blog’s experiences at Sierra Nevada Beer Camp, today’s spotlight falls on Sierra Nevada Brewing Company. Let’s get to it! We’ll begin with where the company began: its founder Ken Grossman. Ken grew up in Southern California. His neighbor was a homebrewer and retired rocket scientist. This was his first introduction to craft brewing. Ken learned to brew at age 14 when his neighbor agreed to teach him how to brew beer so Ken would stay out of his neighbor’s beer. Years later, he almost graduated college. When stopping in SF on a bike trip his senior year, Ken had Anchor Steam beer for the first time. This inspired him to become serious about brewing his own beer. After this, he wandered around the Sierra Nevadas for a while (which is where the company gets its name). He opened up his first home-brew shop in Chico in 1976. His brother was a member of the Maltose Falcons, America’s oldest home-brew club. Jimmy Carter legalized homebrewing in 1979 (His brother, Billy Carter, made “Billy Beer” for a time). Unlike these days, when it is relatively easy to find investors to back a new brewery’s opening (One brewery opens every 12 hours in this country), back then there were no venues for getting credit. This is where investor Paul Camusi came in, contributing his own funds to the cause of opening Sierra Nevada Brewing Company. In addition to this Ken also begged friends for money. 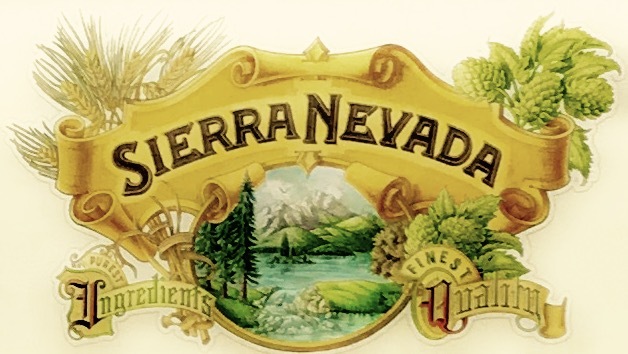 He officially started Sierra Nevada Brewing in 1980. Some of the equipment they used was refired from laundromat parts. The first batch was actually dumped down the drain. Finally, Sierra Nevada Pale Ale went on sale March of 1981. In December of 1982 he flew to Germany and purchased a 100 barrel brew system for scrap copper prices. They were then cut in half and shipped to America- the cost made them broke. The new location became operational in 1989. In 1993 their production was 100,000 barrels a year. The company opened a tasting room in Berkeley in 2013 and a second brewery with an attached restaurant in Mills River, North Carolina in 2014. Currently, Sierra Nevada produces 1.3 million barrels of beer annually. It is the 7th largest brewery in the US by volume. And to date, they have made zero TV commercials. If you would like to enjoy a Sierra Nevada Beer yourself come by any of our locations to try one out! Thanks for reading!